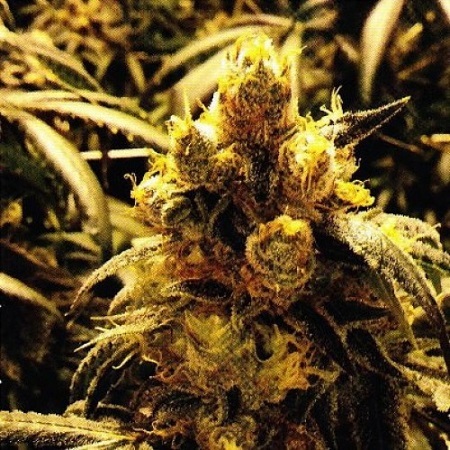 Bay Dream Regular Cannabis Seeds by Grand Daddy Purple Seeds: Grand Daddy Genetics is proud to introduce their BAY DREAM! The marriage of two incredible strains starts with their big production superstar, the well-known Blue Dream and their High Times Cannabis Cup winner, Bay 11. They brought these phenomenal sativas together to create the ultimate combination of flavours and incredibly sweet smelling buds while giving the Blue Dream even more monstrous yields. Dense with rich light and dark green hues, the buds are covered in orange fuzzy hairs and tend to show over-sized trichome glands. The aromatic sweet pine fragrance of the Blue Dream carries through almost 100% in their Bay Dream.